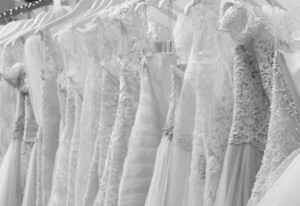 You don’t have to book a flight to New York to find the perfect Looking for a short or tea length bridal gowns? DimitraDesigns.com has a great selection of short and semi-formal wedding dresses to choose from! Not every bride to be has visions of a flowing train trailing behind her as she walks down the aisle. Some brides don’t want their dress to touch the floor at all. At Dimitra Designs we completely understand. That’s why we offer a variety of tea length bridal gowns that are just as elegant as full length gowns. These short wedding dresses are perfect for summer weddings and offer greater freedom when socializing with guests or gliding around the dance floor. We have Justin Alexander dresses, Casablanca wedding dresses, Mori Lee dresses and more! 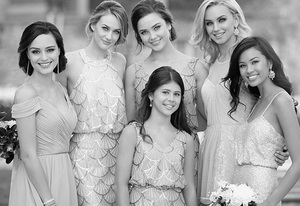 No matter what style dress you’re looking for Dimitra Designs can help you find it! As one of the premiere bridal shops in Greenville, Anderson and Spartanburg SC</a>, we have helped countless brides prepare for their special day! We are here to help answer your questions and find perfect dress for you. Give us a call today at 1-866-866-0968 and we can answer any questions you may have. Let Dimitra Designs help make your wedding day the most memorable day of your life!